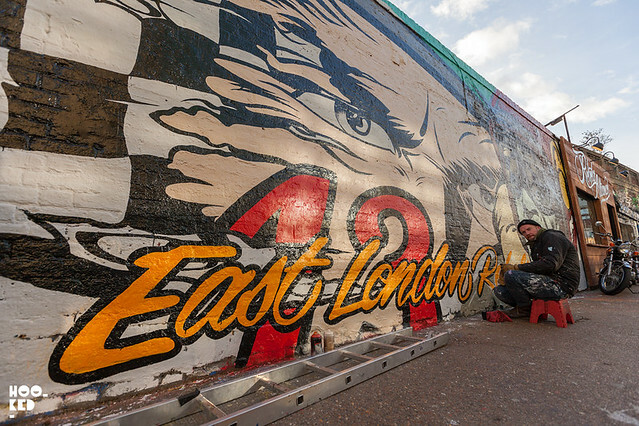 Having travelled the globe painting murals for festivals, events and shows London gets its very own mural by London based artist D*Face. Despite living here in the city, the artists busy schedule has kept him in his London studio and we have not seen much large scale works from the artist as a result. 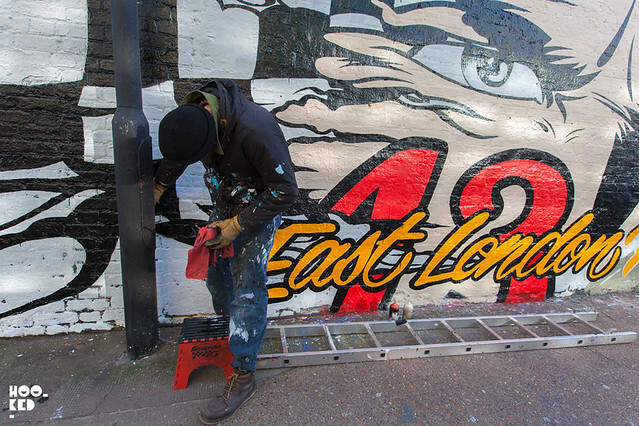 An while the cities street furniture is plastered East to West with D*face stickers, the last London street piece from the artist that we recall seeing was a piece that coincided with an issue launch of VNA magazine on Commercial Street last year. 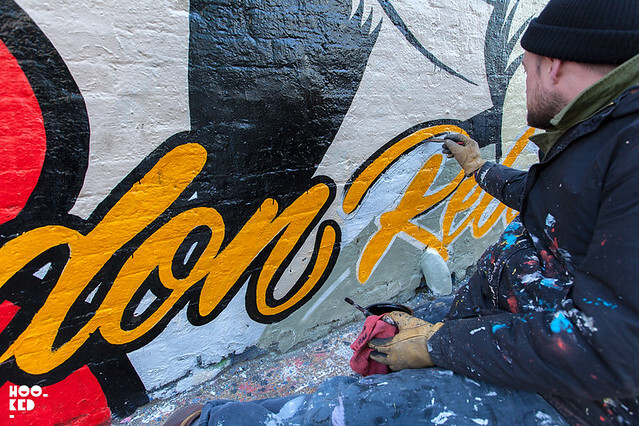 Working over a number of days this new East London Rebels mural from the artist has been painted on one of the large Sclater Street walls, a stones throw from Shoreditch Overground Station and right outside the recently launched space Rebels Alliance. They launched the Shoreditch space in December 2015 with a show featuring new works from artist Will Barras, which are currently still on show in the shop. If you are in the neighbourhood checking out the new mural from D*Face be sure to stop into the space, have a coffee and check out the Will Barras artwork. Rebels Alliance also have a selection of other D*Face x Rebels Alliance tees and other products for sale at the space including D*Face recently released sticker packs. 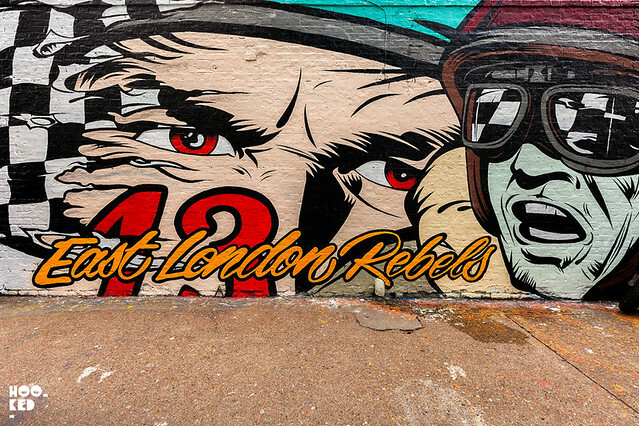 Rebels Alliance and the new D*Face mural is located at 64 Sclater Street, East London, E1 6HR.